Welcome to our Cat Portraits Website. We are professional cat pet portrait artists with over 22 years experience in our chosen field. We specialize in highly detailed, hand drawn and painted cat portraits in Pencil and Oil. We can arrange the whole package for you, from the initial concept right through to framing, we can even provide engraved plaques for your portrait too. 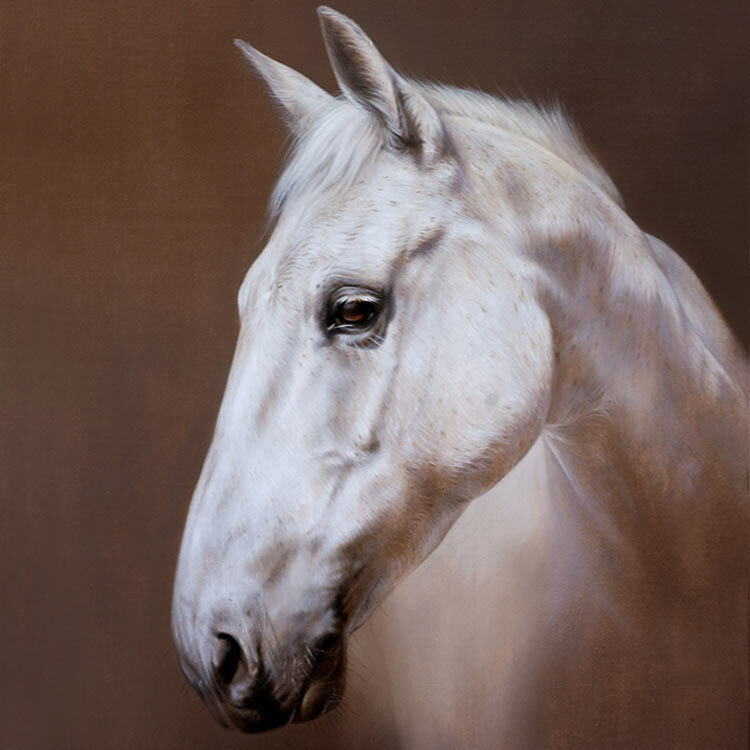 View our oil painting gallery which displays previous cat portrait commissions by Nicholas Beall. You can also see my pencil drawings gallery (Melanie Phillips) and don't forget to check out our Cat Portrait Prices too. If you need to ask anything, just drop us a line! We look forward to working with you soon! 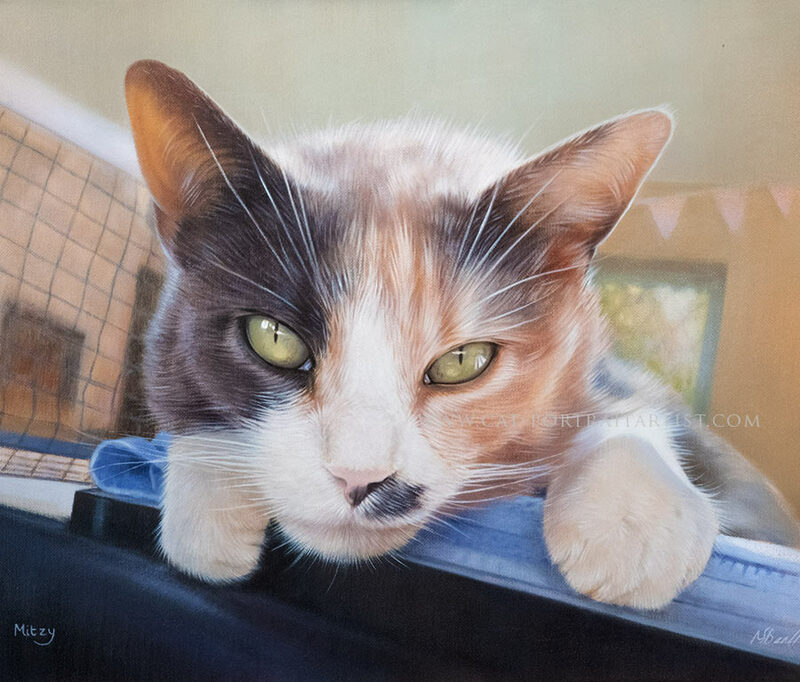 If you would like to see our pencil drawings and oil paintings in closer detail, visit our Cat Portraits in Detail Gallery where you can see portraits up close and personal. We photograph our portraits in our art studio when they are complete, often showing a pencil or brush to show scale. We work with two incredible framers who create the most stunning frames for us. We can also commission an engraver to create engraved plaques in Silver or Bronze which completes our paintings and drawings beautifully. To view some of our previous artwork framed, visit our Cat Portraits Framing Gallery. 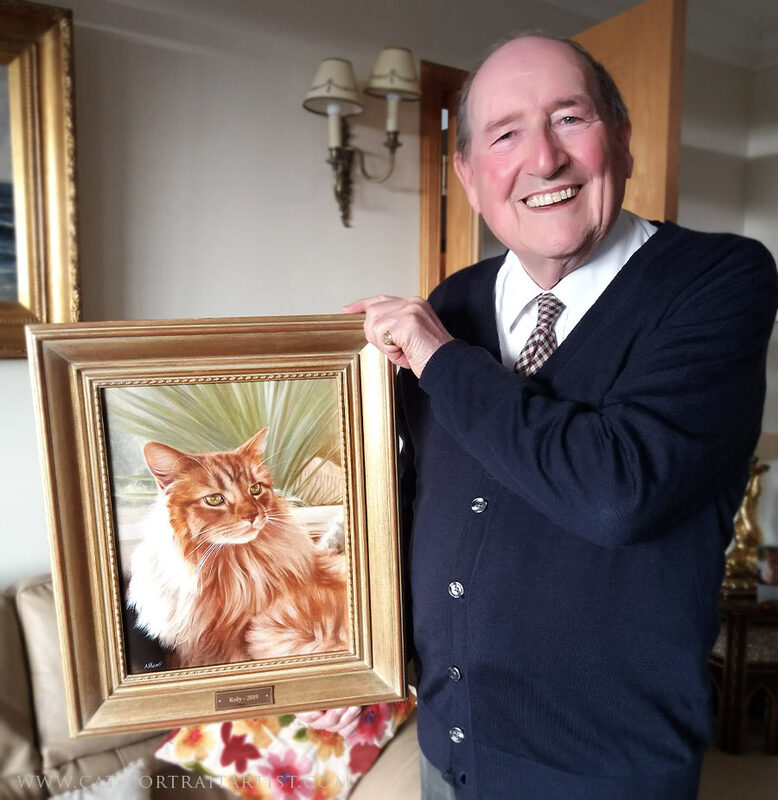 Click the images below to view some of Nicholas' cat pet portraits in oils. All of the oil paintings below were previous commissions from clients worldwide. If you would like to commission your own cat painting please email us and we would be delighted to work with you. I hope you enjoy viewing my pencil drawings of cats. Click each image to view it larger. 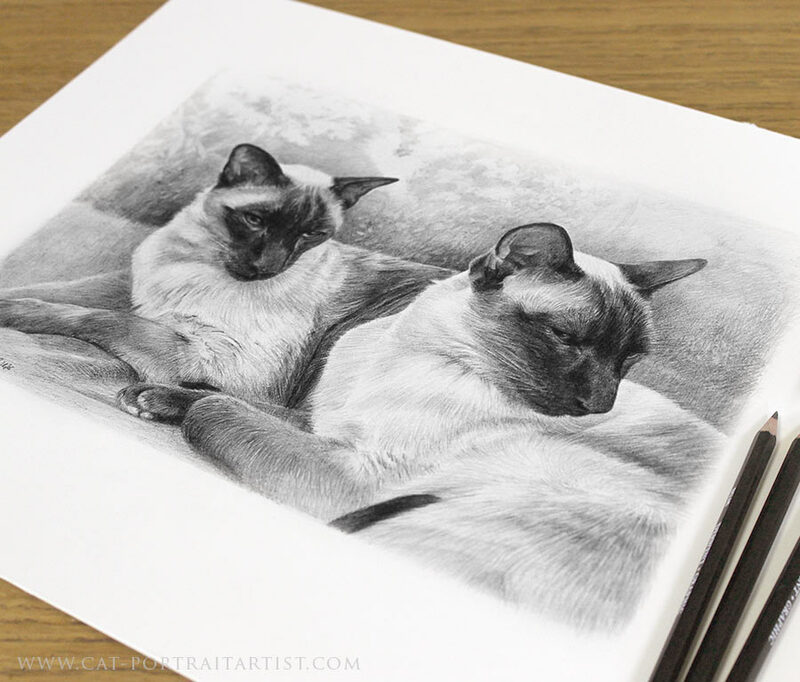 Don’t forget to check out my cat portraits on my dedicated pencil pet portraits website too! Oh my goodness, Frankie's portrait is, well again, beyond my words to describe. It seems 3-dimensional, and the color is stunning. For the fifth time I am truly amazed at Nicholas' skill. You'd think I'd quit being 'blow away' by his talents .... I am so thankful that I found you both! I have numerous people who what to see the oil once it's safely here. Again, please tell Nicholas how much we appreciate him and what he's brought to our home.